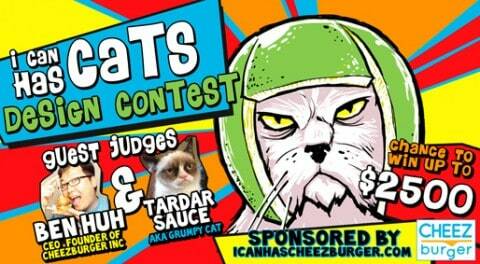 WeLoveFine & Cheezburger Present the “I Can Has Cats” T-Shirt Design Contest! They are either your adorable, easygoing non-descript house pet… or they are our fluffy overlords who have taken over the internet, and soon, THE WORLD! Well, maybe, but we sure know which we would bet on, which is why we decided to launch our latest themed design contest on all those crazy CATS! Whether they are part of Cheezburger.com’s extensive (and hilarious) LOLCats archive, or a regular staple on your Tumblr feed, or an actual silly, awesome cat that belongs to YOU (and totally sits on your laptop every time you’re trying to work. Maaan, come on!) – take inspiration from the feline phenomenon and show us your most outstanding cat-based artwork! It can be funny, it can be just plain rad… it can feature kittens, old cats, fat cats, hairless cats, munchkin cats…. cats with frickin’ LASERS shooting out of their eyes! Anything your imagination can come up with, it could win you up to $2,500 and the chance to have your tee added to WeLoveFine’s shop! We and our pals at Cheezburger can’t wait to see what you all come up with, so go for it. From here until the winners’ announcement, every day is CATURDAY! Tardar Sauce The Grumpy Cat was born on April 4 this year to her mother Callie (Mama Kitty). Tard loves eating mice and tuna and taking long cat naps in the sun or under the bed. She became an internet sensation first with Reddit then on YouTube thanks to her owner’s brother when he came to visit, and her recent exciting adventures include appearances on Right This Minute, CBS 5 Phoenix, and Fox 10 Phoenix. She lives in Morristown, AZ with her brother Pokey, three dogs and her owners, Tabatha and Chrystal Bundesen. Follow Tardar Sauce on Twitter at @GrumpyCatTard, or at grumpycats.com. 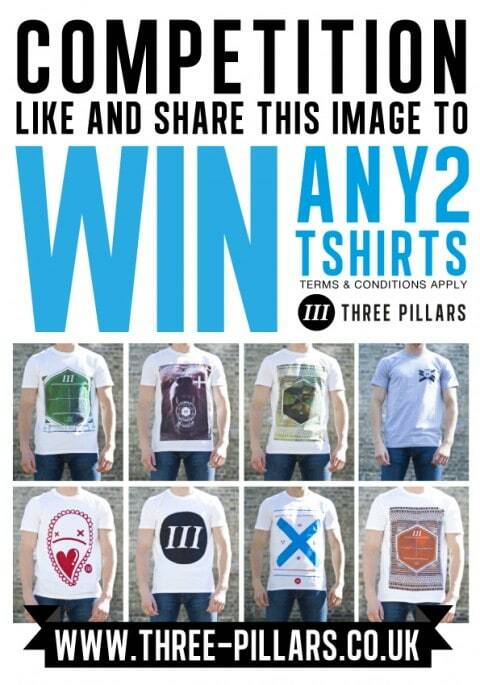 Three Pillars have just released their competition to win any two tees of there sprint/summer range, they are just finalising their autumn/winter range, they also have a buy one get one free offer on at the moment just type in the discount code: BOGOF at the checkout. Three Pillars throw parties and make threads. One fella from the Steel City and two bums from regal Cambridge are behind the scenes, making it happen. 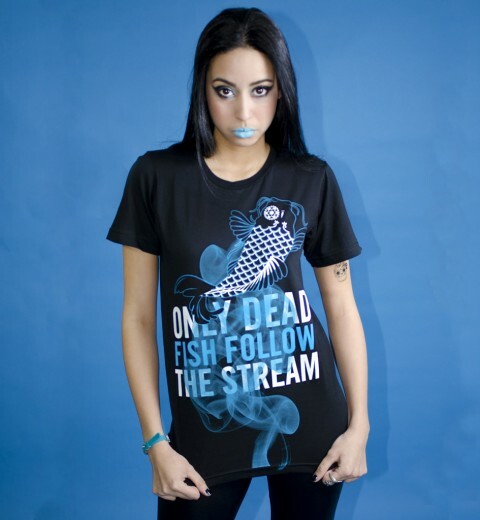 Between djing, throwing parties and sleeping, we like to design clothing for the discerning clubber. Check out our blog for musings on stuff we like – fashion, art and tunes. Andy: Thanks for the submission guys! 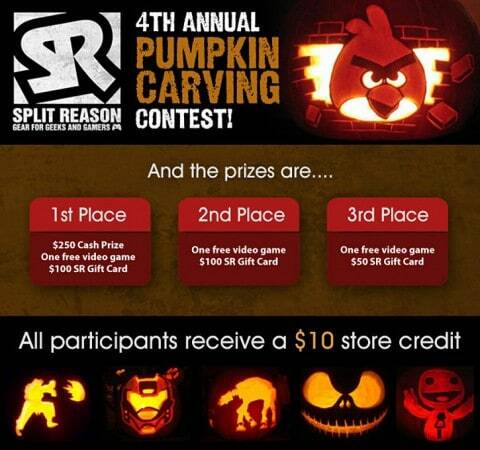 The few times I’ve attempted to carve a pumpkin I’ve been ecstatic if the result looks anything like a face, so I don’t think I’d fair particularly well in this contest at Split Reason, but I bet you creative guys can do a lot better than me, and if you’re carving a pumpkin anyway you might as well submit a photo of it considering the prizes are pretty impressive. 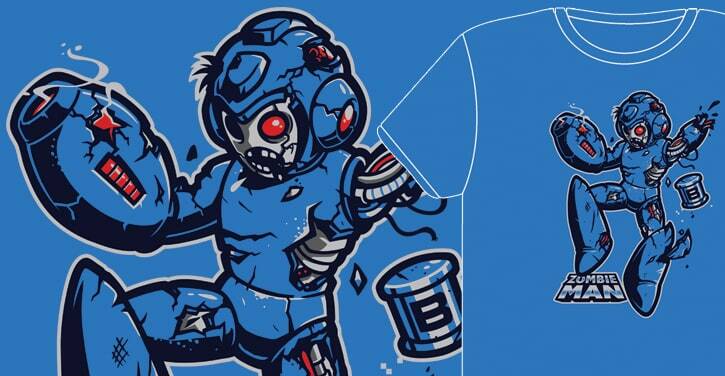 I like the zombie takes on the classic gaming characters (the shirts are on pre-order, shipping in one or two weeks), but the quality of those designs just serves to make that Star Wars design look poor. Sounds like a pretty neat deal to me, upload your photos here and you could be a winner. 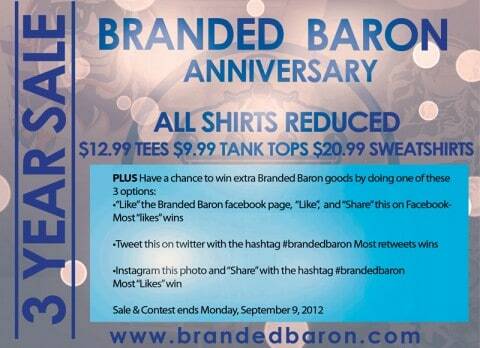 Congrats to Branded Baron for hitting the three year mark. The retro recreationists at Found Item Clothing have announced a fan made poster contest themed around a nerd classic, 1985’s Real Genius (Val Kilmer’s breakout role). 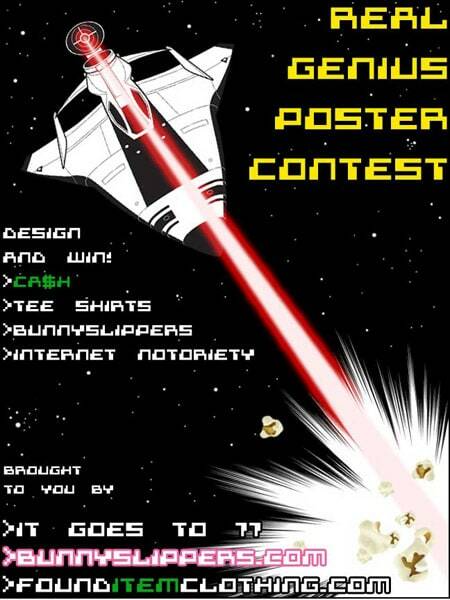 Prizes include cash, tee shirts, fuzzy bunny slippers, and a small measure of “Internet notoriety” (make of that last bit what you will). Click here or on the image below to link through to the official contest page. One Hundred Turns One, Deals, Giveaways and a Sale all this week! One Hundred are a brand that give two people clean water with every shirt that they sell, and over the past year they have raised almost $5,000 for clean water charities, something which will have almost certainly meant that people haven’t died because people bought t-shirt, and that’s pretty amazing really, and I love that we can make that connection between the purchase and the outcome. All this week (up until August 12th) they’re celebrating their first birthday with 20% off all their t-shirts,as well as running a few competitions on their Facebook page. To celebrate the Grand Opening of We Are The Recipe on July 28, we are giving two lucky people the chance to win a free Tee from our first drop! Head over to our Facebook Page and ‘Share & Like’ our competition status to be entered in the free prize draw! Winners will be notified on/after 28 July. Andy: They submitted this one a few days ago so I feel a little bad that we’re getting close to the closing date of the competition, but you’ve still got a couple of days to enter so head over now. 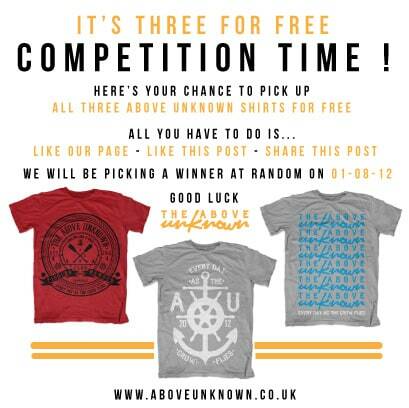 We’re having a little competition over at Above Unknown! The weather here in England has been pretty terrible for summer, so we need some cheering up and nothing cheers us up more than giving stuff away and make someone a little happier. 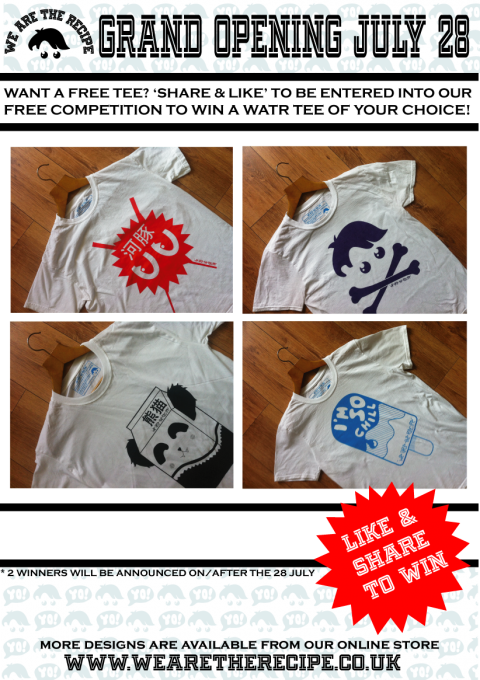 We’re going to be giving away all three of our t shirts to one lucky person! To enter this competition and find out the terms just head over to our facebook page. The most interesting news at TeeFury today isn’t the tee, but that they now offer ‘afterhours’ sales of the previous days shirt for $13. 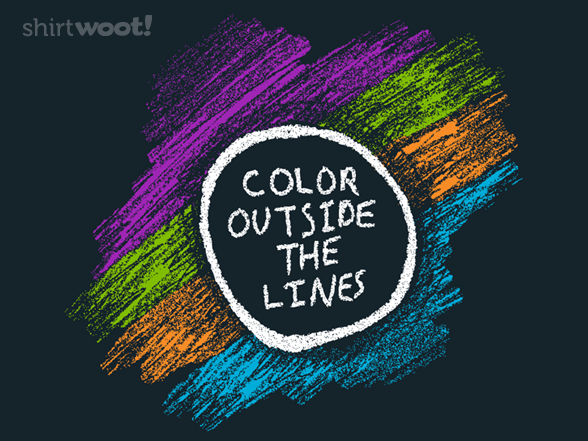 Shirt.Woot have a design to anger those of us who spell ‘colour’ correctly. LOST is gone but not forgotten at at RIPT. Eyesore Merch run a monthly t-shirt prize draw offering entrants the opportunity to win one t-shirt of their choice from the website’s range. The competition is ideal for those who love music particularly rock and heavy metal! As well as band t-shirts Eyesore Merch also sell character and movie t-shirts, so you don’t need to be a Doom Metal fan to enter! You can enter the competition by signing up for the Eyesore Merch newsletter either via Facebook or by an email address, once logged in you need to either “Like” the Facebook page or “follow” the Twitter account and tweet about the competition. 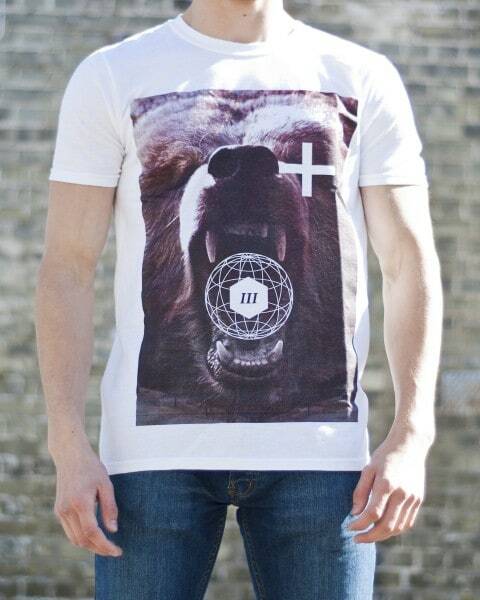 So visit http://eyesoremerch.com/competition and enter the competition today. 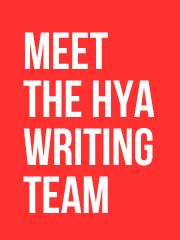 Become a Soyu Ambassador and win 2 t-shirts! Become a SOYU Brand Ambassador! 10 tee shirts to give away! You’ll also become a brand ambassador so you’ll be the first to know about future releases and can get involved in helping our brand grow, with exclusive lines, latest insight and other promotions. 3) Your Website / blog / Facebook / twitter link if you have one. 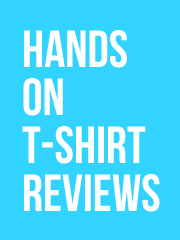 Get in touch by 28th June 2012 and we’ll tell you all about how you can get a hold of those tee shirts. 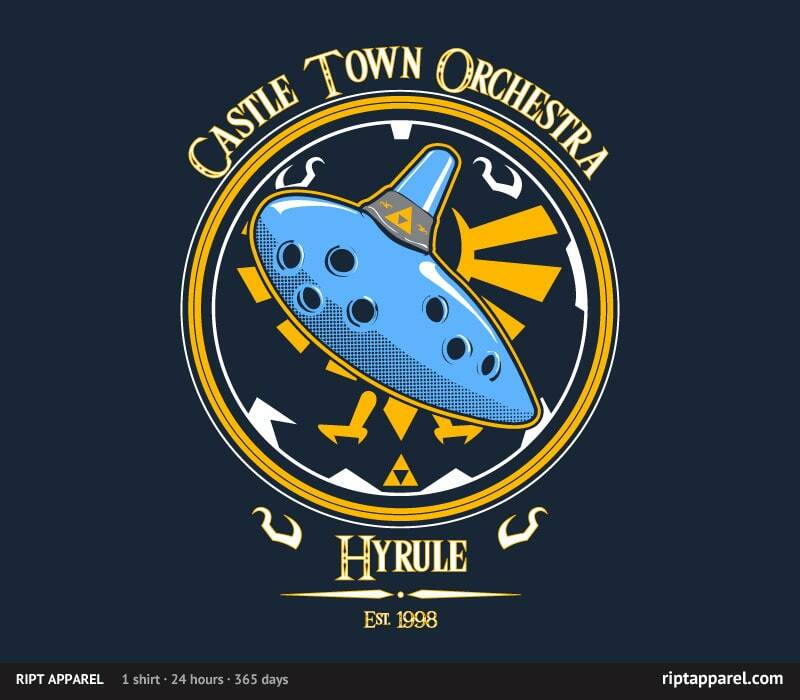 50 t-shirt companies hosted by Storenvy are selling one of their designs for $10 in honour of International T-shirt Day. You’d think that kind of sale would be enough, but no, there is also an opportunity for one person to win 50 shirts from those participating stores, a prize with a value of around $1,000! All you have to do to enter the competition is send out a tweet, and there are loads of cool shirts in the sale, so head on over before the promo ends on Friday (June 22nd). Glass Going Green Recycling Contest at Springleap Winners Announced! I don’t think that these winning designs are in the shop yet at Springleap, but it certainly is neat to see some well designed shirts to help raise environmental awareness since those two things don’t always seem to go hand in hand. 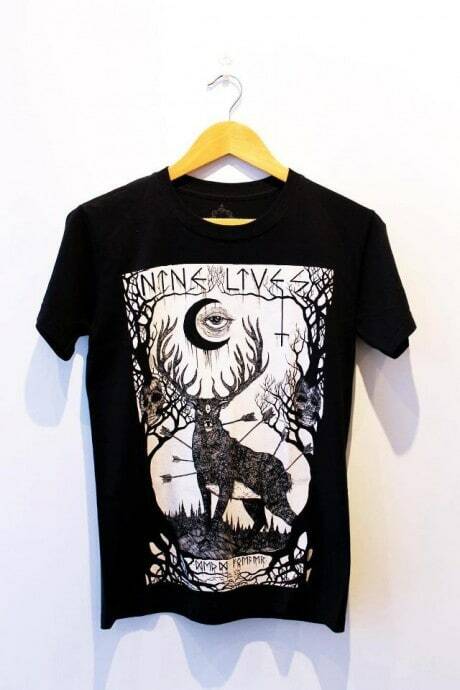 ‘Herne the Hunter’ T-shirt from NINE LIVES! 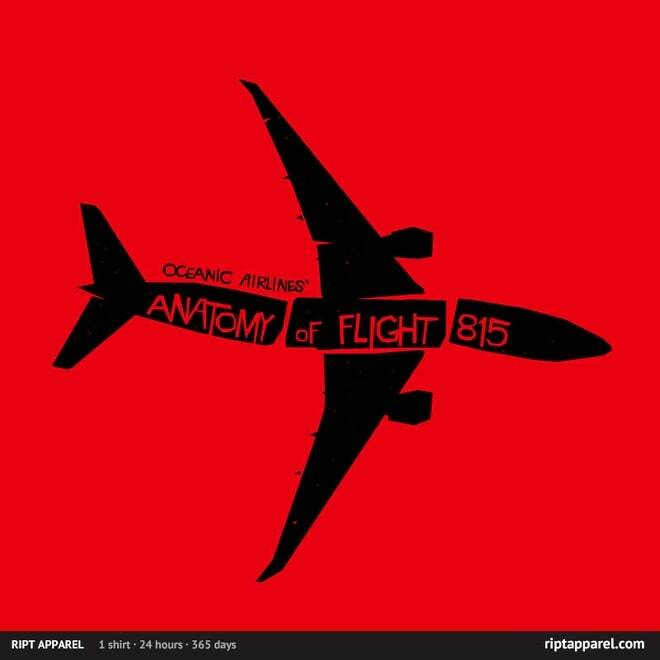 I came across this t-shirt today (and discovered a new brand!) 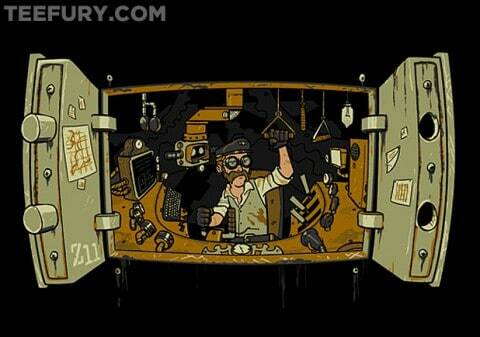 I adore this design with it’s boxy composition and eerie style, so I feel obligated – I must share it with you! NINE LIVES is a street-wear brand based out of Kilkenny, Ireland (I am not a big South Park fan, but that city name really sticks out to me, ha.) 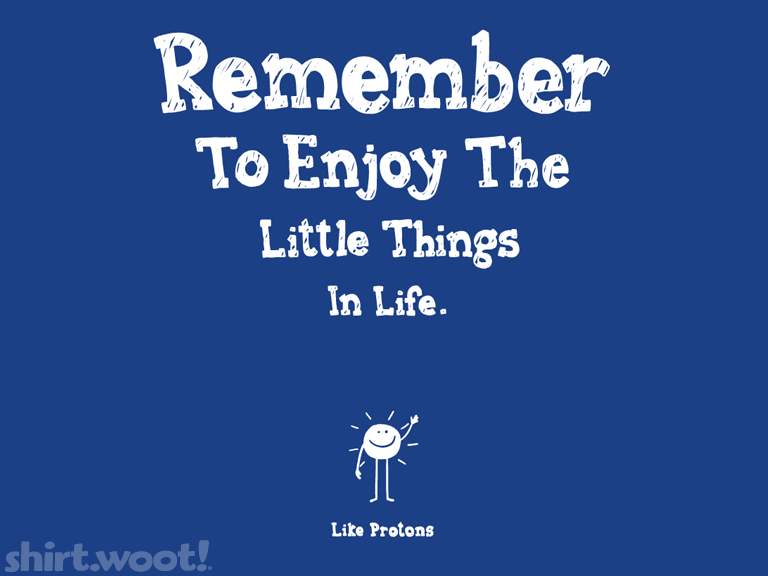 Anyway, they have an online store, as well as a retail store – so check them out please! Like their page, like the post and most important SHARE the post and let them know you shared by commenting on the post. The winner will be announced next week. Good Luck. Sorry about the level of disruption to the site at the moment, I’m acting as something of a nightwatchman on a building site for my other job, which does change my schedule around quite a lot as you’d imagine. The other bloggers will hopefully be picking up the slack and I see that Matt & Leah have already posted a couple of great articles. Metroid gets some attention in the TeeFury shirt above. 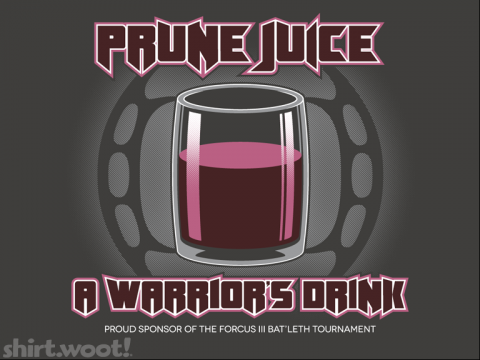 Prune juice has never appealed to me, but apparently it appeals to Shirt.Woot. 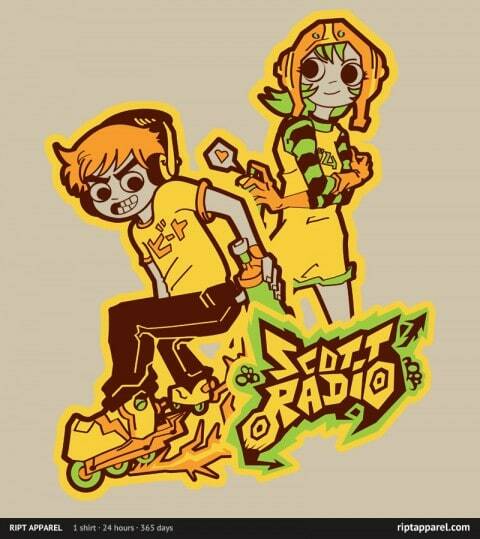 Jet Set Scott Pilgrim at RIPT. Spanish brand Dr. UEEE are holding a giveaway on their Facebook to give away a “N&N’s” t-shirt for Mother’s Day. I think the Mother’s Day association is fairly random and that you don’t necessarily have to give the tee to your Mom, that’s just the date they’re building the giveaway around. Just share this image on Facebook before May 6th (and make sure to like them so the winner announcement will come up in your activity feed) and you’ll be entered into the contest. 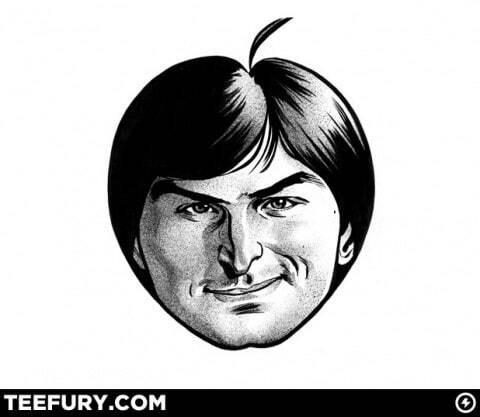 I don’t like this Steve Jobs tribute shirt at TeeFury today, I get that people like him, but enough to wear his face on your chest? Not often you see protons being the focus of a tee, but but Shirt.Woot design does just that. Zelda-themed shirt at RIPT today. I’ve posted about 8-Bit Zombie before and if you didn’t know, I absolutely love their stuff. 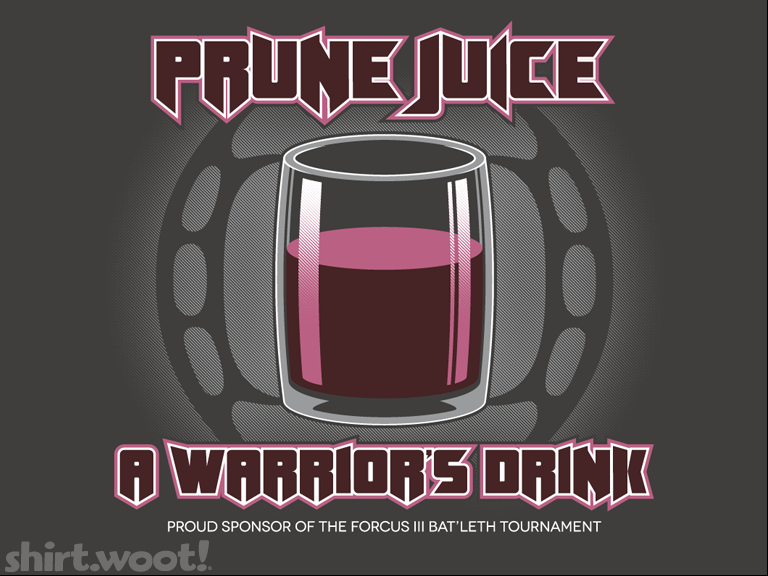 They also recently won Tee Madness 2012 (congratulations!) so I thought I’d take this chance to interview 8BZ. Why did you want to get into the T-Shirt industry? A few years ago, I decided I wanted to start a business and thought screen printing would be fun, so I dove in head first. 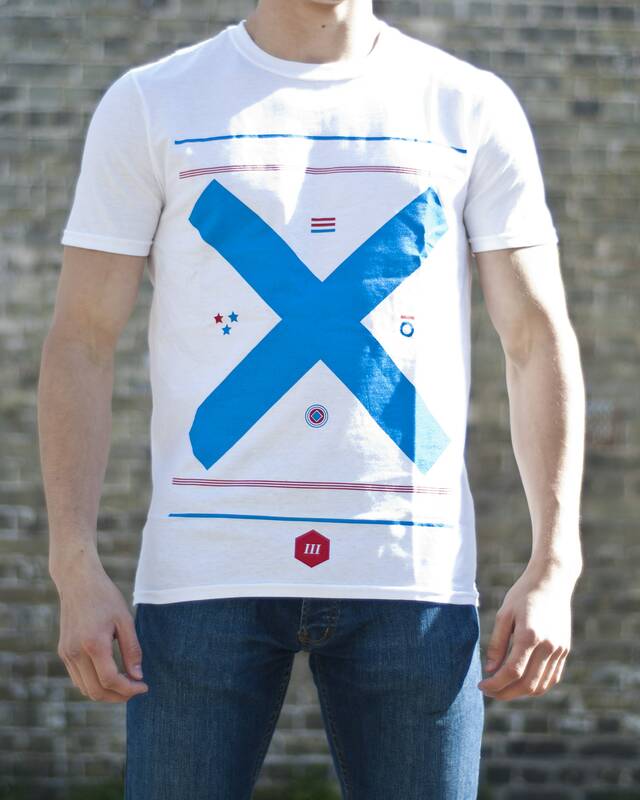 I knew absolutely nothing about screen printing or the tee industry so it was quite a learning process. But it was definitely one of the best decisions I’ve ever made. I knew going into screen printing that I wanted to make rad shirts to sell on the side. So after learning the ropes and honing my printing skills, I ventured into printing my own stuff to sell. Funny enough, 8BZ actually started off with flip-brim hats. I didn’t get around to printing tees until I had carved a little niche for myself with the hats. 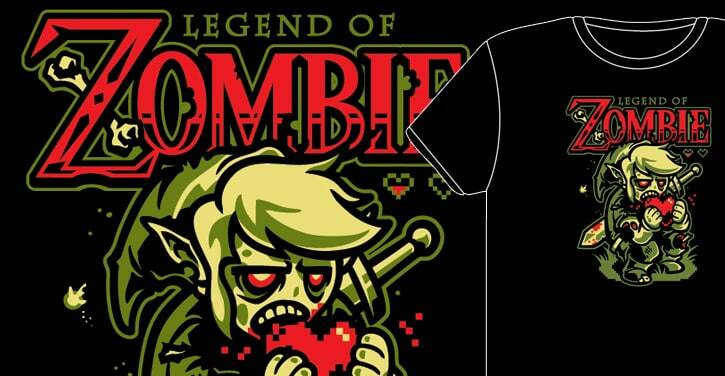 8-bit ZOMBIE was a name I came up with years and years ago. I’m a huge NES (The original Nintendo system) fan and collector. So 8-bit games have been my obsession for most of my life. I’ve also been a fan of zombie flicks for quite some time. So that’s where the name comes from. But it also works on another level – 8BZ is all about 80’s nostalgia. So you might say I’m bringing the best parts of the 80’s back from the grave. How many guys or gals are there that work with you? Or is it a one man army? It’s a one man army! Apart from the artists I hire, 8BZ is all me. From screen printing to packing & shipping, I run every facet of the brand myself. It’s an immense amount of work but it’s also very rewarding. I’m definitely a bit of a control freak when it comes to my brand. I have a very distinct vision of how I want everything. What are your main influences? Do you have any specific artistic influences upon your designs? My main influences are of course the 1980’s. I was a child of the 80’s and the toys, cartoons, movies and video games of that decade never really left me. I’ve been obsessed with all things 80’s since…..well, since the 80’s, haha. It was definitely a magical time to be a kid. I wouldn’t really say I have any specific artistic influences other than a general 80’s pop-culture vibe and 80’s skate art. I try to work with artists with varied styles but also artists who share my love of that decade. As I notice you pay homage to a lot of different films and games, has this ever caused you any legal problems? Not yet, knock on wood. It is something I worry about and something I’ll have to be more careful about as 8BZ grows. But so far, so good. I see you mainly focus upon 80’s styles, do you plan to branch out and do different decades? Any big future plans at all? 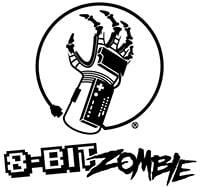 I will always stick to 80’s and early 90’s with 8-bit ZOMBIE. But I feel like I’ve only barely scratched the surface with what’s possible. That era will keep me busy for years to come. Who are some of your personal favourite brands? Johnny Cupcakes is an inspiration. I went to a lecture he gave and chatted with him a bit afterwards. His words and advice definitely had a big effect on me. An amazing guy and an amazing brand. Death Shred is a brand I’ve followed for awhile. Similar themes to 8BZ, really awesome stuff. And Orcus Brand is another rad line run by one of my artist buds, Setup85. Do you have your own studio or do you outsource the production of your shirts? As mentioned earlier I print all of my merch myself. I am beginning to outsource some of my printing now though. As 8BZ grows, it’s a BIG help to be able to send some of the printing to someone else. Has anyone famous bought your shirts or been seen wearing them? If not what’s the strangest place you’ve actually sent a shirt to. I don’t think anyone super famous has been spotted sporting 8BZ. I would love for it to happen though! And I ship stuff all over the world on a regular basis, which was a big surprise to me starting out. In the beginning, most of my sales actually came from outside the U.S. It was really strange to me at first. But also very awesome to think that stuff I made is being worn but people all over the world. But sending stuff to the Ukraine or Malaysia or other remote places with crazy addresses is always weird, haha. I just have send it off and hope it gets there! 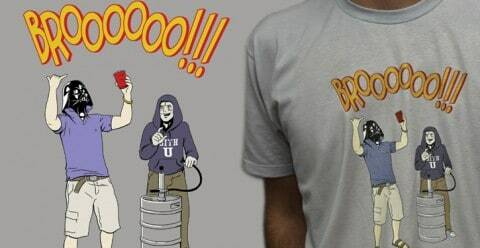 You’ve entered Tee Madness the past three years and finally this year you won! Why do you think this year you finally accomplished it? Extremely happy to finally get 8-bit ZOMBIE a place in the winner’s circle. I think I finally made it this year due to a couple of factors. One was probably the fact that many of the bigger brands got knocked out earlier in the game this year. Luck of the draw was definitely part of it. But other than that, I simply have a ton more fans than in years past. I was super impressed with how loyal and supportive my fans were this year. It was really humbling and amazing to see their devotion. I also just wanted it badly this year. I knew going in that this was going to be my last attempt at the tournament. So I definitely gave it my all and tried my hardest to bring home the win on my 3rd and final run. And why won’t you be competing in the next Tee Madness? Will we see you in any future events at all? I just feel like I’ve had time and made my mark with the contest. I think it’s time to step aside and let some fresh blood battle it out next year. Not to mention the fact that Tee Madness is insanely stressful and all consuming. You pretty much have to be chained to your computer if you want to make it to the end. It’s so mental draining and exhausting, haha. Don’t get me wrong, it’s an awesome contest and is well worth entering for the exposure alone. But I’ve battled for 3 years straight and finally made it to the end this year, so I’m ready for a break. Very much looking forward to experiencing the contest from the outside next year. But we’ll see what happens in a few years, haha. I very well may come down with the tee MADNESS again at some point! What is your favourite NES game and 80s Film? Those are both tough questions! I don’t think I can narrow it down to just one, as NES games and 80’s movies are two of my biggest passions. 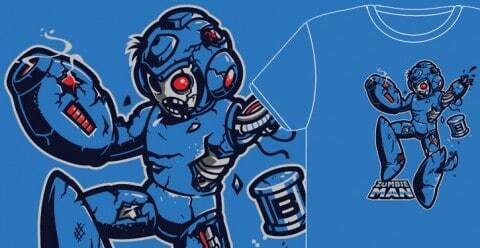 But some 8-bit favs are Metroid, Legend of Zelda, Wizards & Warriors, Little Nemo and of course the Mario & Mega Man games. As for movies, Goonies, Pee-Wee’s Big Adventure, Ghostbusters, Labyrinth, Lost Boys and Neverending Story hold special places in my heart. Both lists could go on, and on (AND ON!) but I’ll stop there, haha. Is there anything you’d like to tell our readers? 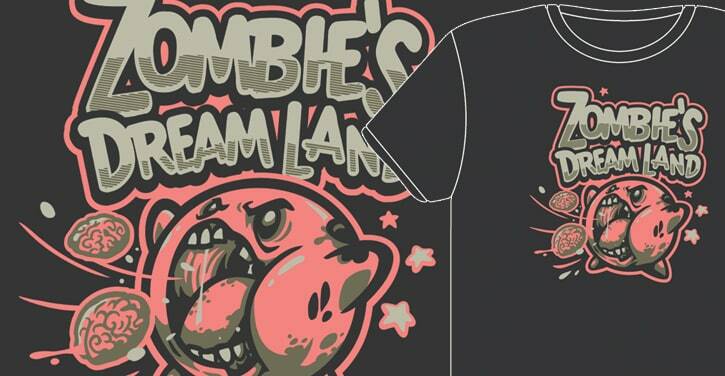 Keep an eye out for the 8-bit ZOMBIE summer release. This summer will be the biggest, baddest and raddest release to date for 8BZ. I’ve got a few tricks up my sleeve that should bring a big smile to the face of any 80’s fan! You won’t want to miss out on this one! I’d like to thank Ross from 8BZ for his time and effort in conducting this interview with me! It’s been a great way for me to ask questions that I’m particularly interested in so it has been an absolute pleasure and I look forward to reviewing his merchandise as soon as it arrives. Which hopefully should be soon! If you guys want to ask him any questions yourself head on over to 8BZ’s contact page. De-Jé (pronounced day-jay) is an independent brand based in NYC. 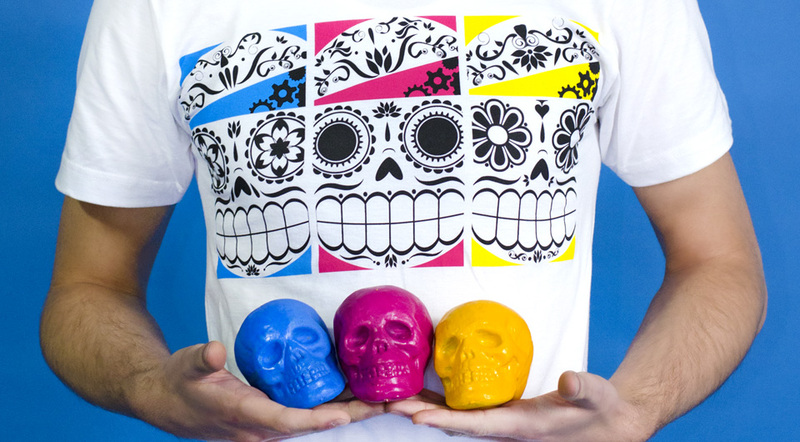 Heavily influenced by sugar skulls and dia de los muertos, De-Jé offers both quality goods and solid designs, as well as custom made to order kicks. De-Jé provides a fresh new perspective in street wear by fusing different cultural aspects through its usage of bold colors and graphics. De-Jé embodies a positive lifestyle in the pursuit of creativity and most importantly, individuality. With tag message: Hey @dejenyc – check out my #dejenyc tattoo! On May 21st, we will select our favorite tattoo application and they will receive a De-Jé care package! It’s all free — we’ll even pay for the postage. Let the sugar skull mayhem begin. This post was submitted by Tiffany De Jesus.